Striking teachers flood the state capitol in Charleston, West Virginia, Thursday February 22. (CNN) Public schools across West Virginia are closed Thursday as teachers and other school employees hit the picket lines, demanding higher wages and better benefits. 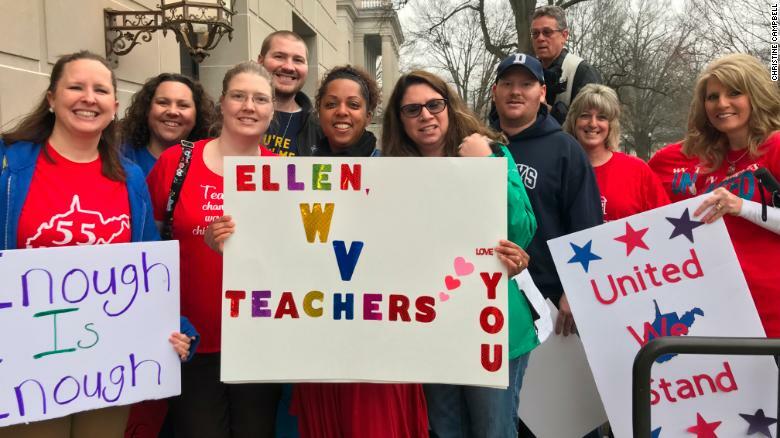 According to Dale Lee, president of the West Virginia Education Association (WVEA), teachers in all of the state's 55 counties are participating in the planned two-day walk-out, and a group will march Thursday morning to the capitol building in Charleston. 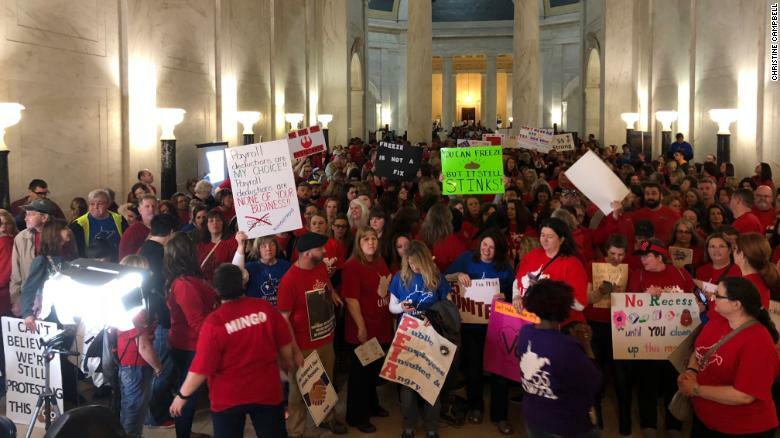 Teachers gathered at the state capitol building in Charleston, West Virgina, Thursday to demand higher wages and better benefits. Organizers expect thousands of teachers to participate. West Virginia employs nearly 20,000 classroom teachers in its public schools and has more than 277,000 students enrolled, according to Alyssa Keedy of the West Virginia Department of Education. 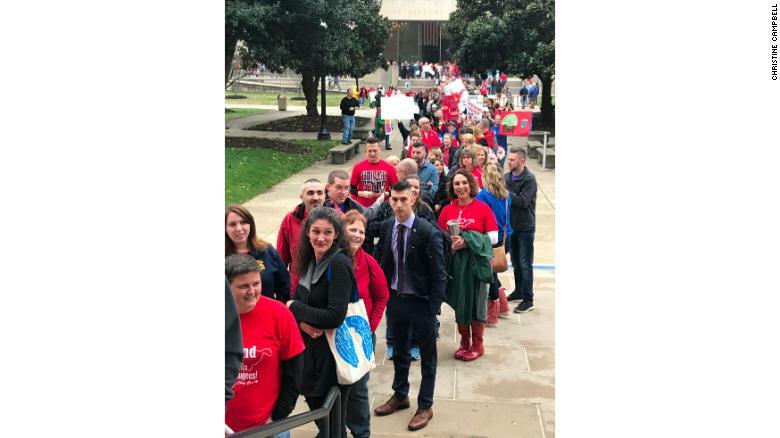 Teachers are walking into the state capitol building in Charleston, according to Christine Campbell, president of the American Federation of Teachers-West Virginia. They plan to sit in the gallery during legislative sessions. Others are gathering outside the full galleries and continuing their protests. In other public areas of the capitol building, teachers are chanting, "You work for us!" and "55 united," a reference to the 55 districts that are closed. They are also carrying signs with slogans such as "Respect Ed" and "No recess until YOU clean up this mess." Campbell told CNN that the line to get inside wraps around the building.